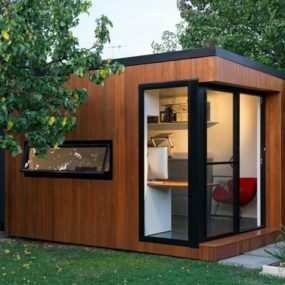 Studio Shed begins our journey through these trendy home additions with this ultra modern, black escape. Perfect as a man cave or home office, it’s got a chic appeal that we love for both country or urban landscapes. 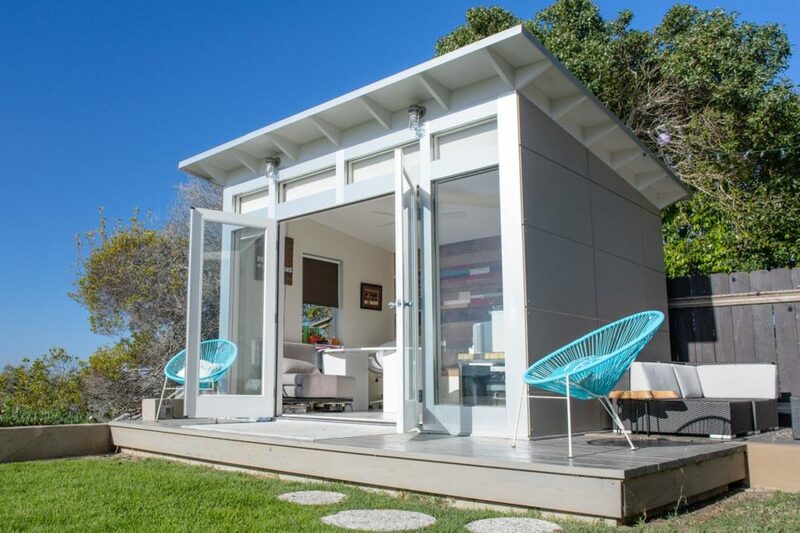 This crisp, white Curbed studio shed with glass windows and doors is a stunner. For those wanted to build a guest house or a zen space to get work done, this is the route to take. 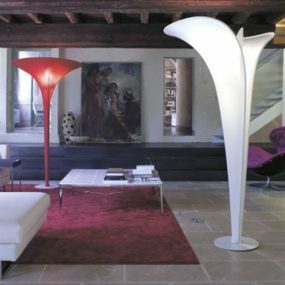 Precise and contemporary, it holds up to trendy charms as well. 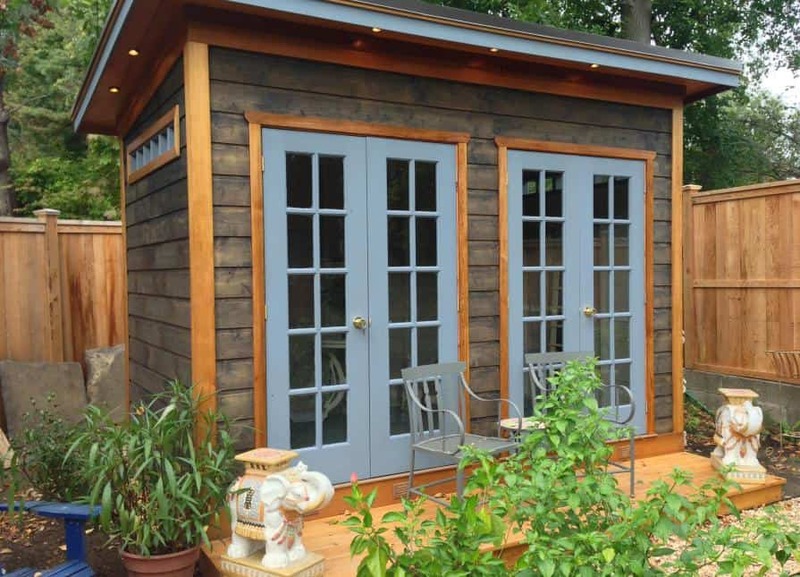 Sheds Unlimited has a beautiful, traditional space to snag ideas from. 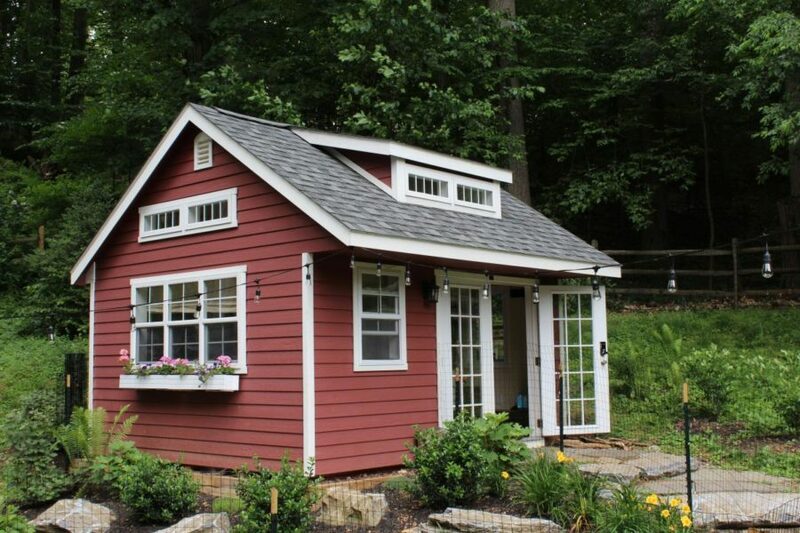 It’s got a cozy appeal and we love that warm, red color on the outside. Even the flower boxes on the window give it an extra welcoming feeling. 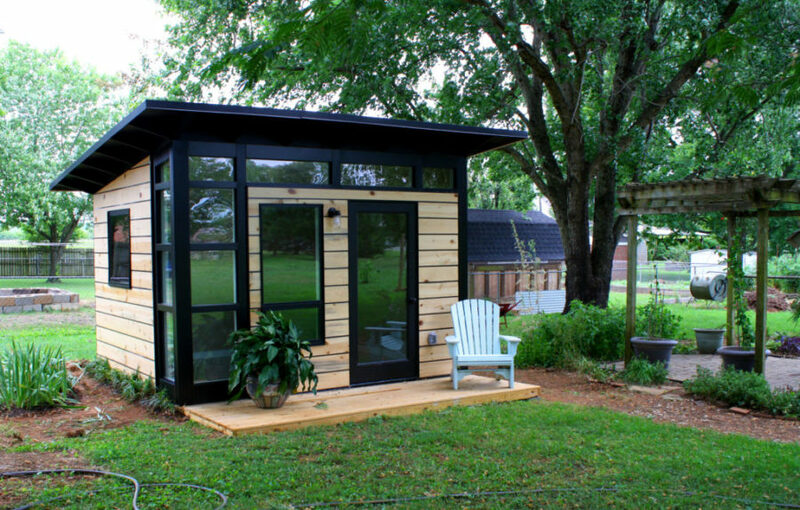 Here’s a really minimal studio shed design that we’re digging. If you’re looking for simplistic and Swedish-inspired, this one from Fall Home Decor is it. 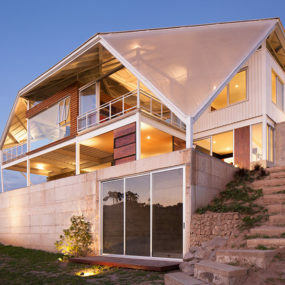 We love the glass and natural wood combination – making it an easy foundation to personalize. 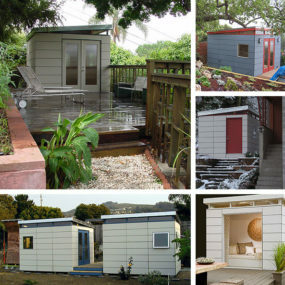 Over at 3Rings we found a studio shed that works as a guest space but also as a means to entertain. 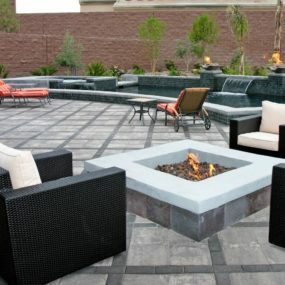 It’s right next to the pool so it’s perfect for when friends are over or to lounge around on a lazy Sunday. Add all the cozy extra inside! 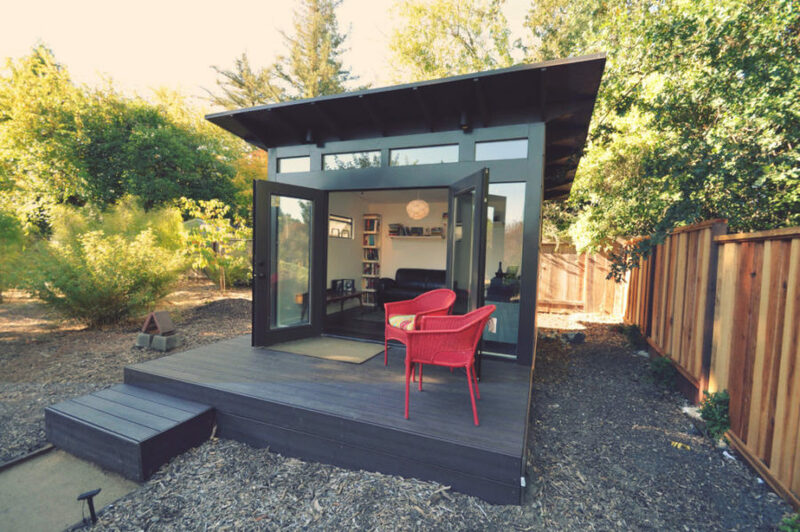 Summerwood has a studio shed featured that we fell in love with as well. This one has a more organic, bohemian flavor to its design. The mix of natural woods and pop of rainy day blue create a cozy, relaxing look. If you’re looking for something that presents with more of an industrial design, then here’s one from Decor Apartment that fits the bill. 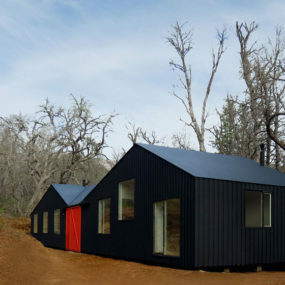 It has a mixed material look – cement and wood – without a lot of fuss. 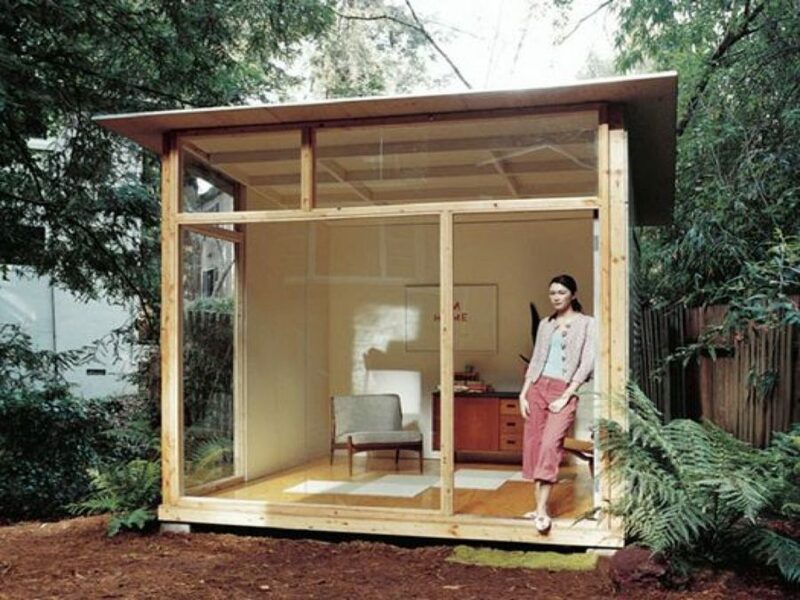 Turn it into a gardening area, greenhouse, or special zen zone. 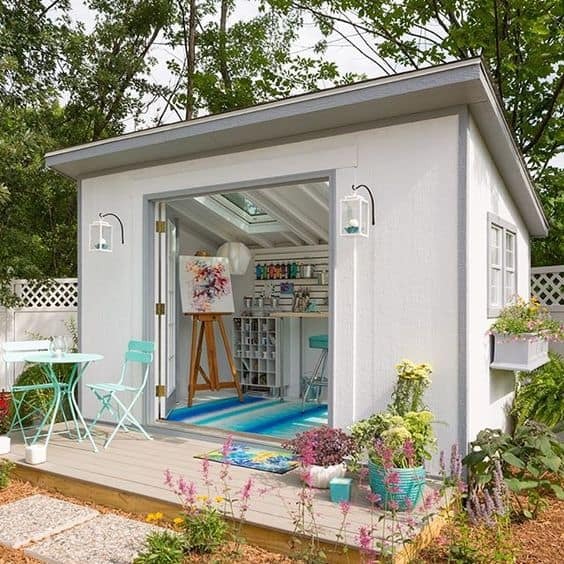 This workshop studio shed from Pinterest is a quick favorite. The deep teal sets it off nicely and uniquely, but it’s the quaint, traditional design that really reels us in. It doesn’t have to be large and in charge to do its job right. How can you not instantly fall in love with this artist’s space? 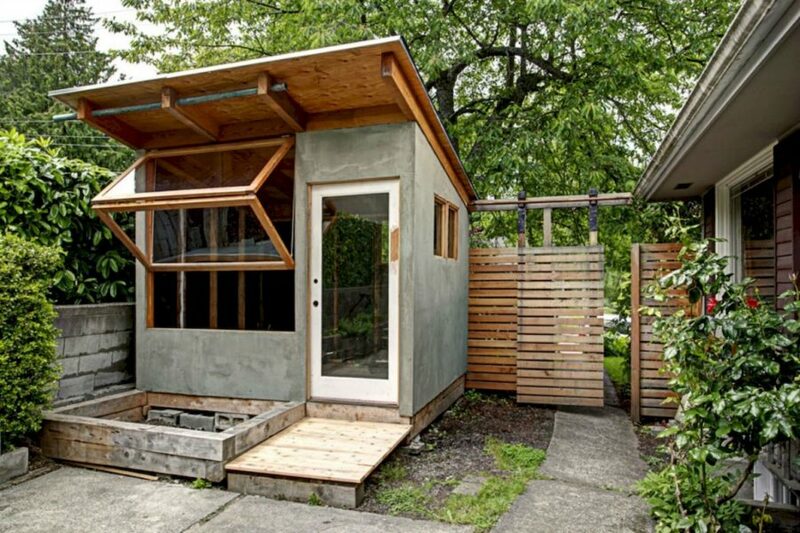 It’s a perfect example of what you can do with your shed in the back. 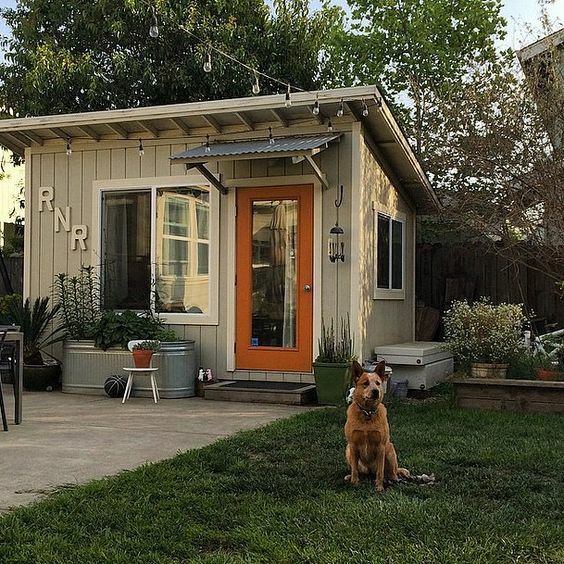 From pops of color to utilization, check out this space on Instagram. Country Living has a lot of great inspiration as well. 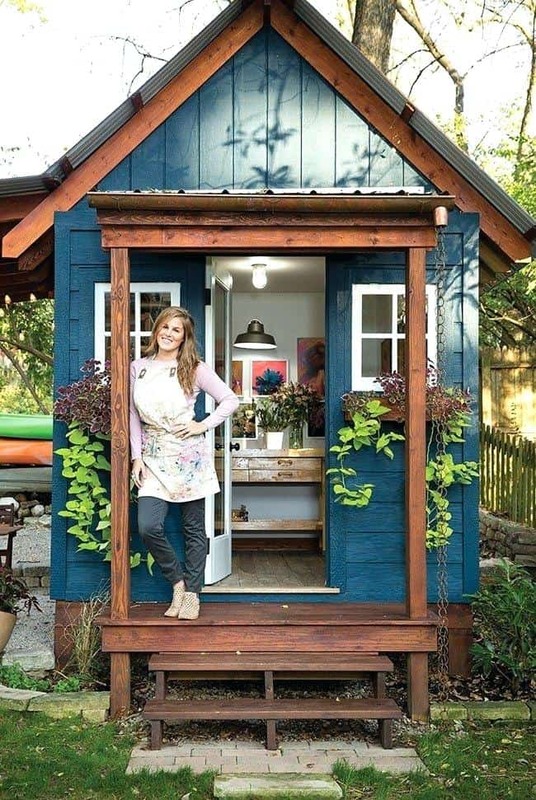 This larger studio shed is an amazing example of what you can create when you have the land to do it. 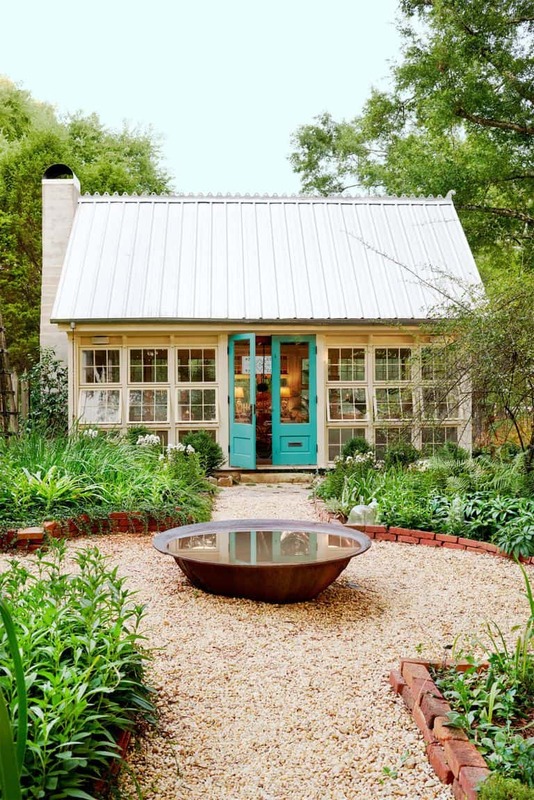 We love the openness of the windows and design of this one. PopSugar had some beautiful peeks as well. 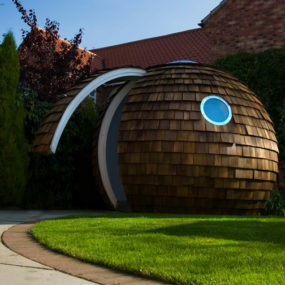 This man cave edition doesn’t take up too much room and gives the guys of the house exactly what they’re itching for. Check out this little slice of heaven on Brit + Co! 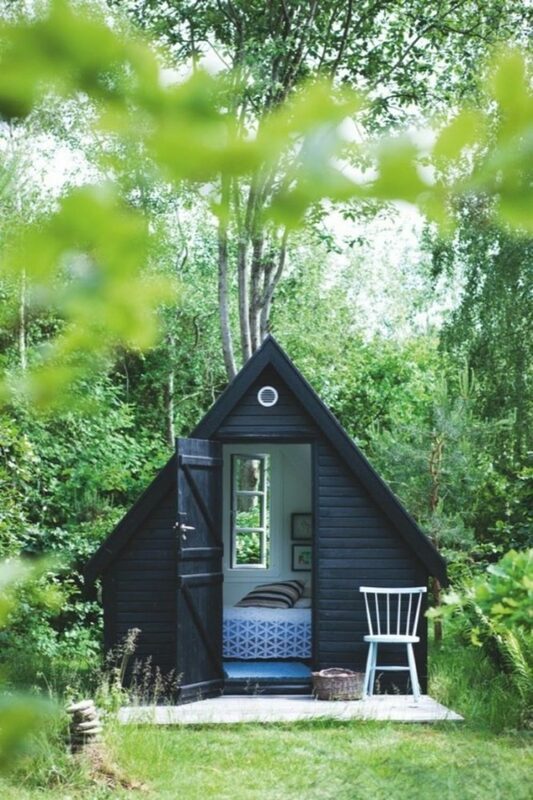 Small, triangular and perfect for a one night’s stay outside, there’s so much versatility to a similar one of your own at home. 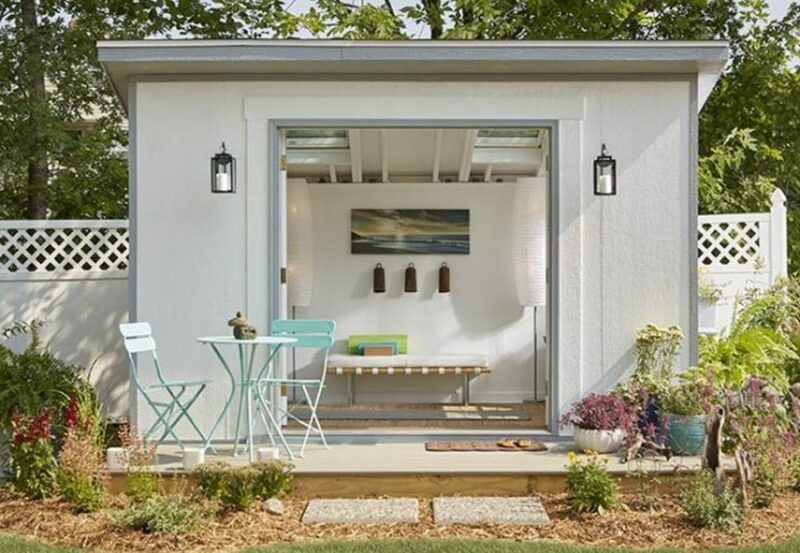 Home Depot Blog showcases a charming little shed that the kiddos will love. 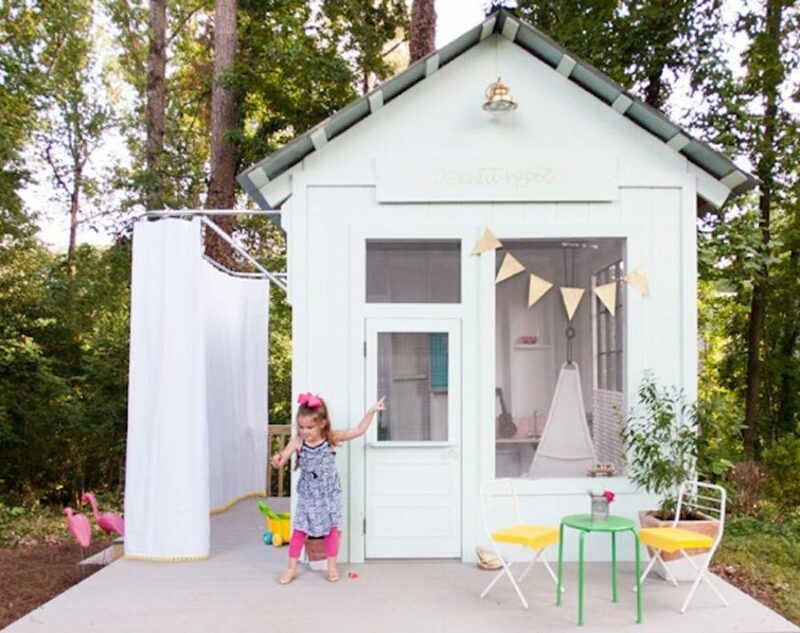 If you lack a playroom but have the extra land outside, create something fun there! Utilize what you do have in the best of best of ways. Here’s another space that’s meant to zen out and relax. 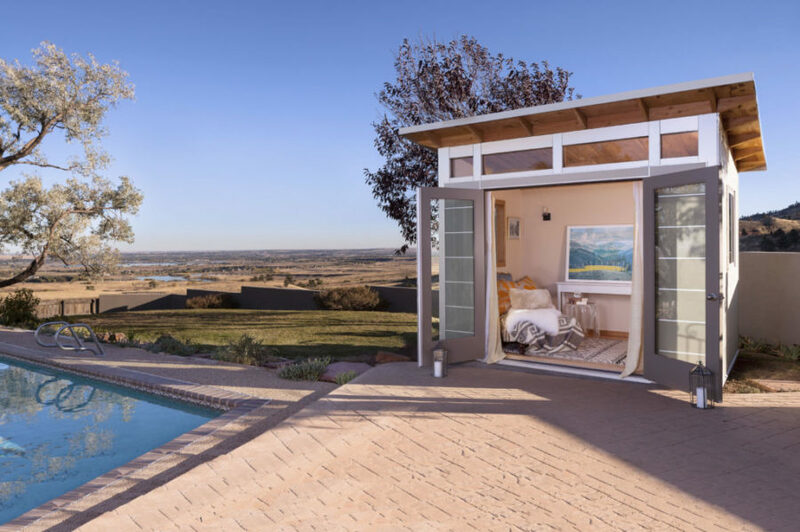 Create a home away from home where you can go and read, decompress, and do some yoga. The details behind this one can be found at Lowes. And finally, if you visit Studio Shed just one more time, you’ll run across this cutie. 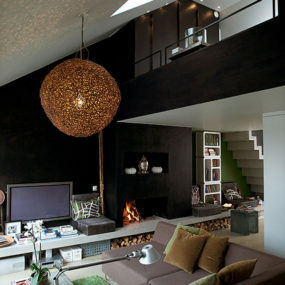 Natural wood colors and black creates a contemporary, trendy appeal. And then inside you can personalize to your liking!